We always have a requirement to centralized the Event Logs collection so that at one place you can review the logs came from any Windows machine. In order for Source Computers to communicate with the Event Collector machine, the correct inbound firewall ports need to be open and accepting connections. In addition, the WinRM and Event Collector services need to be running. 1. 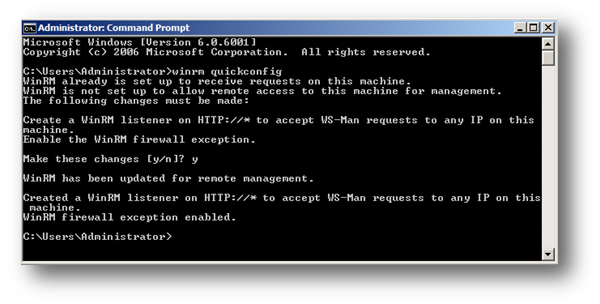 On the Event Collector machine open a command prompt (Administrator Mode). 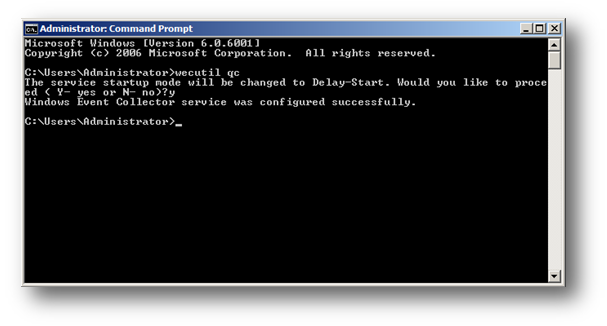 Windows Remote Management service set to Automatic (Delayed Start) and Started. 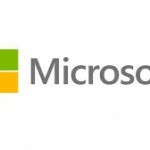 Windows Firewall port(s) Windows Remote Management (HTTP-In) Port 5985 configured for inbound communication OR Windows Firewall port(s) Windows Remote Management (HTTP-In) – Compatibility Mode – Port 80 configured for inbound communication. Collector, in order to reduce the number of touch-points in case a subscription needs to be created or modified. The following subscription will be configured so that event source computers retrieve subscriptions from the event collector host (Source-Initiated subscriptions). 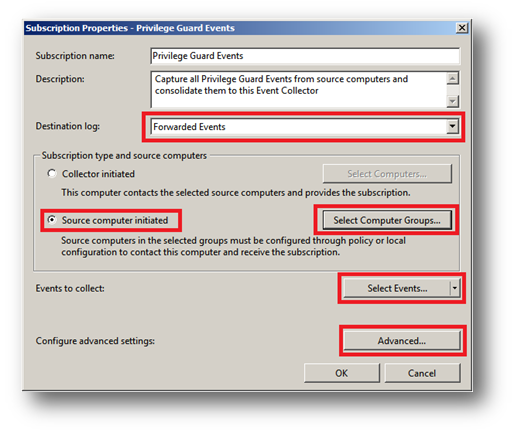 Subscriptions are defined on the Event Collector through the new Event Viewer user interface by selecting the Create Subscription action, when the Subscriptions node is highlighted. The Subscription may also be created via the WECUTIL command-line utility. 1. 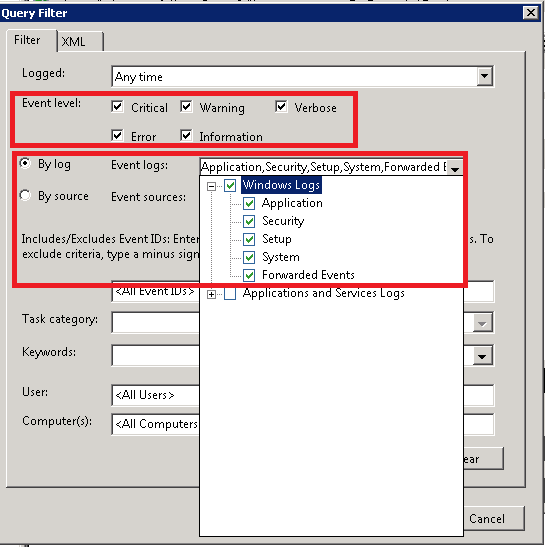 On the Event Collector open the Event Viewer. 2. Navigate to the Subscriptions node. From here, you can specify a name, description, and the destination log (where the events will be collected). 5. Select Forwarded Events for the destination log. 6. Choose Source Computer Initiated (as Group Policy configures the Source Computer to contact the Event Collector for subscriptions settings). NOTE: The Subscription Type can also be configured as Collector initiated. In this case Source Computers will need to be manually added to the Subscription either through the Subscription configuration or the WECUTIL command-line utility (which can also be scripted using PowerShell). It is recommended that Source computer initiated is used, as this configuration is the most scalable. 7. Click Select Computer Groups. 8. Click Add Domain Computers and select the required Source Computers. NOTE: It is recommended that a computer group which includes the required computer accounts, such as the Domain Computers group, is added to the subscription. 9. Click OK on the Computer Groups dialog. NOTE: In a production environment it may be advantageous to gather all events from the Application and System logs that have a level of Critical, Error, or Warning. This event scope can be expanded to gather all events from these logs or even add additional logs (like the Security log). 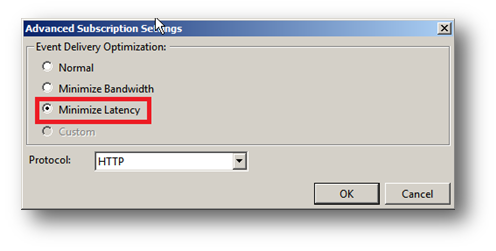 This option ensures reliable delivery of events and does not attempt to conserve bandwidth. It is the appropriate choice unless you need tighter control over bandwidth usage or need forwarded events delivered as quickly as possible. It uses pull delivery mode, batches 5 items at a time and sets a batch timeout of 15 minutes. This option ensures that the use of network bandwidth for event delivery is strictly controlled. It is an appropriate choice if you want to limit the frequency of network connections made to deliver events. It uses push delivery mode and sets a batch timeout of 6 hours. In addition, it uses a heartbeat interval of 6 hours. This option ensures that events are delivered with minimal delay. It is an appropriate choice if you are collecting alerts or critical events. It uses push delivery mode and sets a batch timeout of 30 seconds. HTTPS can be used to secure the communication channel. 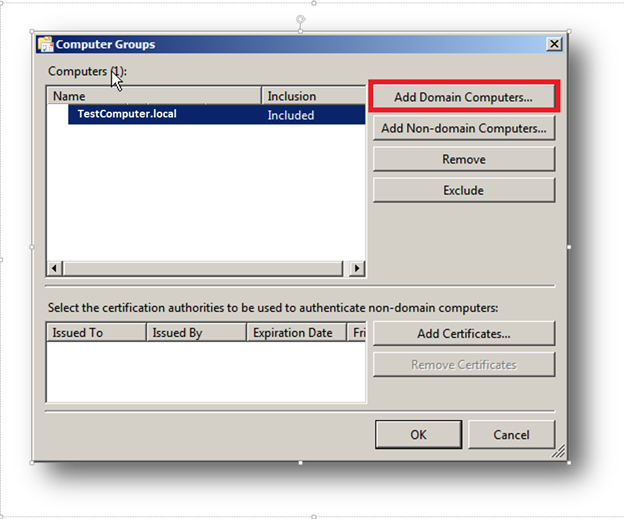 However, this requires additional configuration steps and requires the Event Collector to use a certificate, see the appendences for more information. 15. Click OK on the Advanced Subscription dialog. 16. Click OK on the Subscription Properties dialog. 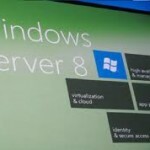 In order for Source Computers to communicate with the Event Collector machine the Windows Remote Management (WinRM) service needs to be running on the Source Computers. 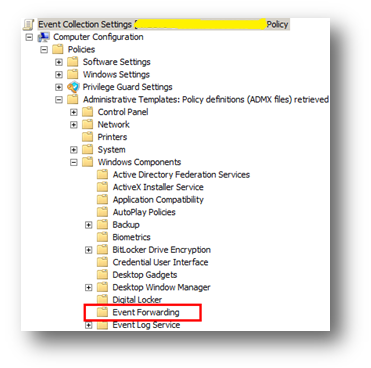 WinRM service auto start is necessary for the host to retrieve subscription information from event collectors and send/push event data to the event collector. 1. 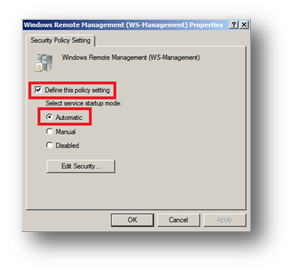 Navigate to the Windows Remote Management (WS-Management) service. 2. Double click the service. 3. Check Define this policy setting. 4. Select the Automatic radio button. collector (or set of collectors). The policy is very simple. It merely tells the Source Computer to contact a specific FQDN (Fully Qualified Domain Name) or IP Address and request subscription specifics. All of the other subscription details are held on the Event Collector. 1. 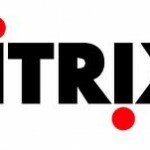 Edit the Group Policy Object (GPO) being used. 2. 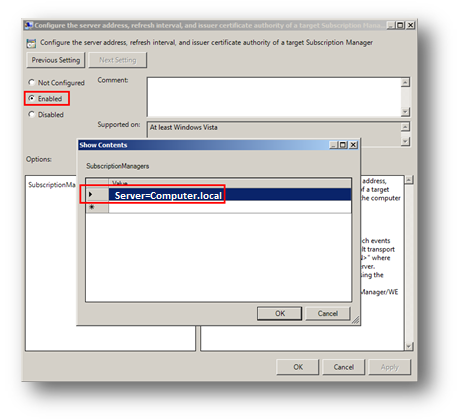 Configure the Configure the server address… option. 3. Set this to Enabled. 4. Click Show, the Subscription Managers dialog will be displayed. 5. Click Add and enter the address of the Event Collector. That’s it. Know you can see that all the selected Event logs from Source computer(s) being forwarded to Event Collector Computer.